Top Secret became famous for their renowned Amino Spray which is full of amino acids! These stimulate the taste receptors of the fish which makes them feed. 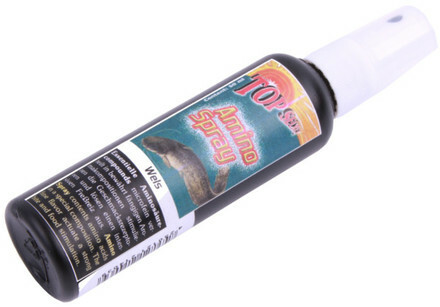 The top quality nozzle spreads a very fine mist that attaches itself perfectly to the bait. The different Top Secret Amino Sprays have been specifically developed to achieve the maximum result for your target fish!